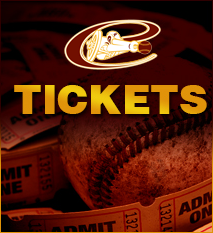 If you love to watch baseball, have kids who play baseball, or are a die-hard baseball fan, you can join the Cannons family and host a player for the season. We are looking for dedicated families to share their homes with a Cannons player during the upcoming season. Players stay with families from June through early August. Your family will experience the joy of watching your very own player come up to bat or pitch in a game. With your own player, your family will have a personal interest in the team that you’ve never felt before. Most players also work Cannons summer camps. If you are interested in hosting a player, or would like to know more about it, please give Brian Haas a call. He can give you details and put you in touch with past host families who would be glad to share with you their own experiences. Below you will find more information about the host family program. If interested, please contact Brian, our Housing Coordinator, today! Q: What are we expected to provide the player as a host family? A: Some Cannons players have summer jobs (often our summer camps) during the day, and play games at night. Therefore, their needs are relatively simple: a private room, access to a bathroom and a laundry room (they’ll need to use showers and laundry facilities daily), two square meals a day and a family to cheer them on. Q: Will the player have a car? If not, will we be expected to drive him places? A: About one-third of the players have their own car. Players who do not have cars are strategically housed close to players who do have cars, so their teammates can give them rides. We do not expect host families to drive our players around, but appreciate those who can. Q: We would like to host a player, but we are leaving town for vacation for two weeks in July, and don’t feel comfortable leaving the player alone in our home. Is it possible to still participate? A: We would prefer not to have players move once they have settled in with a family. However, there are times when host families are going on vacation at separate times, and they share a player that way. If we can match you with another family in this way, it might be possible for you to host this summer. Q. We have three cats. Do you make sure that players don’t have pet allergies? A: We ask about allergies and whether host families have pets, and try to make sure that allergic players aren’t housed with animals they can’t be around. Q: My son is a catcher. We would love to have a catcher stay with us. Is it possible to request a certain position player? A: Because of the sometimes complicated logistics of placing players with allergies into pet-free families, locating players with and without cars close to each other, and placing returning players with their old families, it is not always possible to honor these types of requests, but we will do our best to make it happen if at all possible. Q: What happens if there’s a problem with the placement? A: We have not had many problems with placements. Cannons players appreciate host families’ hospitality, and generally behave as guests in your home. If there is a minor problem, we ask that you contact the host family coordinator, who will work to try to resolve it with the player. If the problem is major, we will remove him immediately. Q: Will players be using our phones? We don’t want to get late-night phone calls! A: Players bring their cell phones and use them exclusively for their phone calls. Q: I’m really hoping that we can host a player who will help our son with his baseball skills. Is this possible? A: All host family situations are unique, and your player and your son could certainly have that kind of relationship. However, you should keep in mind that Cannons players are extremely busy. Most of them work daily, and they play 6 games a week. Some players do not interact as much with their host family as others do.